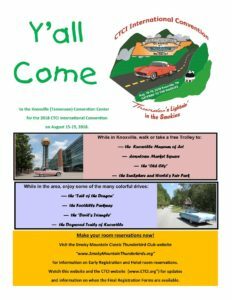 If you haven’t yet, please mark your calendar and make your plans to attend the 2018 CTCI International Convention “Thunder ‘n Lightnin’ in the Smokies” August 15-19 in KNOXVILLE TENNESSEE at the Knoxville Convention Center. 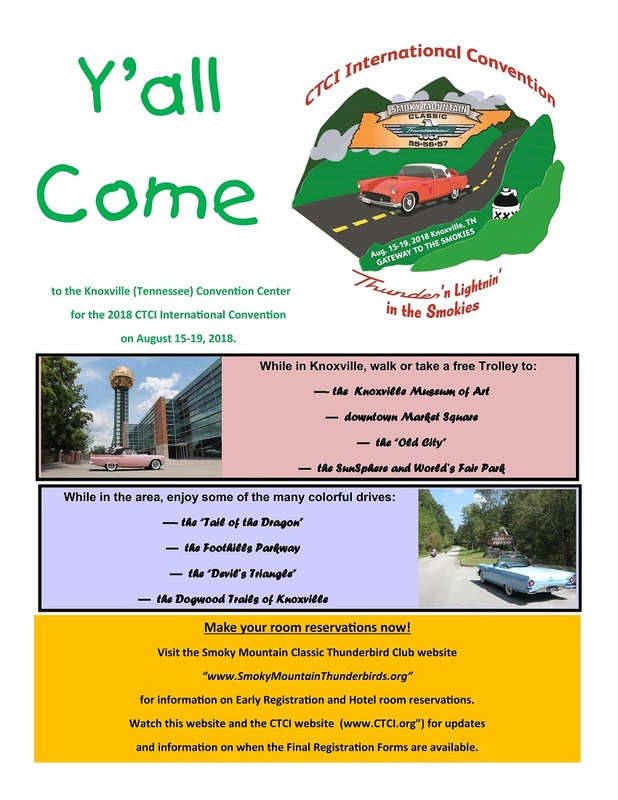 Please see the EarlyBird for info on attractions in Knoxville and in the surrounding areas. You need to get your reservation made and the best place for that info is on our website at www.smokymountainthunderbirds.org . Watch our website and the CTCI website (WWW.CTCI.org) for updates.